Take Your Experience from Bland to Grand! 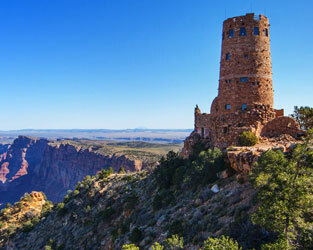 Delaware North Parks and Resorts at the Grand Canyon is all about the experience; the experience to live at one of the natural wonders of the world, the experience of breathtaking views, the experience of touching some of the oldest rock in existence, the experience of letting your photographic senses take over and the experience of making lasting memories. Those experiences start with you. Come see where the experience can take you. We are excited that you are considering employment with us. 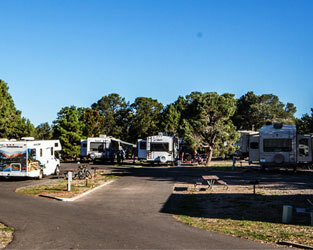 We operate two retail stores inside of Grand Canyon National Park; Canyon Village Marketplace and Desert View Market and Trading Post, as well as South Rim Market, a satellite store located one mile from the park gate in Tusayan, AZ. 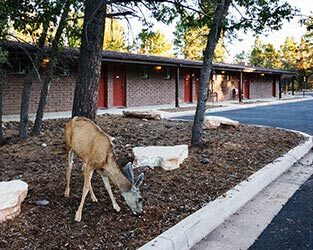 In 2015, Delaware North expanded its reach to include the Yavapai Lodge. The lodge offers 358 guest rooms, a newly renovated gift shop and front desk area, and an expanded food and beverage operation which includes a full service bar. We offer opportunities in retail/outdoor sales, grocery cashiers/supervisors, hotel operations including housekeepers/inspectors, and food and beverage positions such as servers and bartenders. 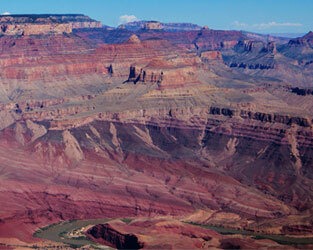 The Grand Canyon attracts people from all ages and backgrounds to live and work in one of the wonders of the world. Our mission is to provide each visitor with the highest value for the products and services we offer, show unfailing hospitality, conduct business in a professional and ethical manner and preserve and protect the park's fragile resources. "Creating Special Experiences One Guest at a Time" is our service promise and is our way of providing excellent customer service. If you can commit to the highest level of service and exceed our guests' expectations, please apply for a position with us and get ready to "Create Special Experiences One Guest at a Time". Click Apply Now to view all of our jobs* and apply online, and if you have any questions please send us an email. Thank you for your interest in Delaware North at the Grand Canyon! We look forward to reviewing your application and joining our team. Click Here to view available jobs* and apply online. *Please check back soon for more available openings. We are excited about the opportunity to build a team who has a focus on guest service and a drive to create special experiences for our guests. If you enjoy being in one of the most beautiful places in the world, delivering great guest service and enjoy meeting new people then the Grand Canyon is the place for you! Not only do we have the opportunity to work at the Grand Canyon, but we have the opportunity to live here as well! Delaware North offers shared dorm style housing to its associates. Each housing location is equipped with a bed and dresser. Most housing locations are equipped with a community kitchen with the necessary major appliances (you will need to provide your own pots/pans/utensils/cutlery/dishes). Laundry facilities are available in/around our housing locations and are free of charge. Internet services are not available in our housing, but there are WiFi access points available throughout the Village. Delaware North housing comes at a minimal cost to the employee. Associate housing is located a short distance from the work locations and can be reached via shuttle buses and walking/bike paths. A community wellness center is available inside the park and can be accessed for a minimal monthly fee. The community center offers a workout center, weekly trips, free Internet and many other wellness classes. 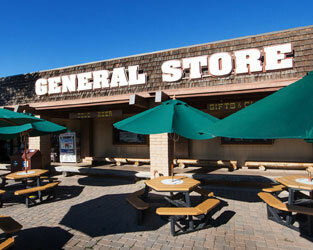 Delaware North Grand Canyon associates receive discounts at our Food & Beverage locations and at our General Stores. Full time/year-round associates are also eligible for health, dental and vision insurance after 30 days of employment, and paid time off (PTO) accrual immediately upon starting work. We plan monthly events to provide opportunities to explore Arizona and other special locations outside the park. Delaware North Grand Canyon provides the shirts, name tag and hat for your position. It is each associate's responsibility to provide their own khaki or black pants, black or brown belt, and black or brown shoes that are comfortable and in good condition. Flagstaff Airport is located approximately 80 miles from the Grand Canyon. The Arizona Shuttle can provide direct transportation from Flagstaff to the Grand Canyon www.arizonashuttle.com. It is helpful to have a bicycle while working at the Grand Canyon as there are many bike/walking paths throughout the South Rim. There are also free visitor shuttle buses that run and free employee shuttle buses. Camping, scenic driving, challenging white water rafting, fishing, and of course hiking are among the major attractions in Grand Canyon National Park. Hiking in this grand, natural museum offers the promise of quiet and solitude, the discovery of nature's improbable secrets and self-discovery. Facing hundreds of miles of trails, and many more miles of possible off-trail routes, hikers can meet the challenges of one of the world's greatest desert canyons. Grand Canyon National Park is located in northern Arizona. It is surrounded by the Kaibab and Coconino National Forest. The Grand Canyon is 18 miles wide and 227 miles long with an approximate depth of 5,000 feet. The South Rim's elevation is an average of 7,000 feet above sea level. Summer temperatures can range from a high of 84 to a low of 54 degrees Fahrenheit. During winter the temperature ranges from a high of 43 to a low of 18 degrees Fahrenheit. The Grand Canyon is home to 75 species of mammals, 50 species of reptiles, 25 species of fish and over 300 species of birds. Come and explore your new home.